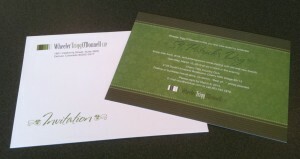 Irish eyes will soon be smiling at the St. Patrick’s Day party invitation we designed for our client Wheeler Trigg O’Donnell LLP. 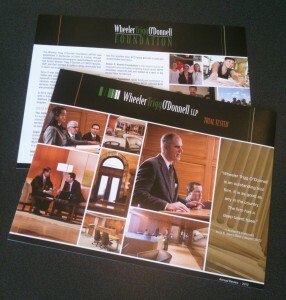 We anticipate more smiles over the annual review we recently designed for the Wheeler Trigg O’Donnell Foundation. This annual report-style brochure highlights the Foundation’s charitable work in the community. We’re proud to partner with such a great company!